DBA Brake Pads - SD610 4×4/SUV/Truck Performance Brake Pads - Dezod Motorsports Inc - Home of the automotive performance enthusiast since 2002. The SD610 is designed for the 4X4/SUV/Light Truck market, where drivers require more braking confidence and high-temperature performance than standard replacement pads are able to offer. 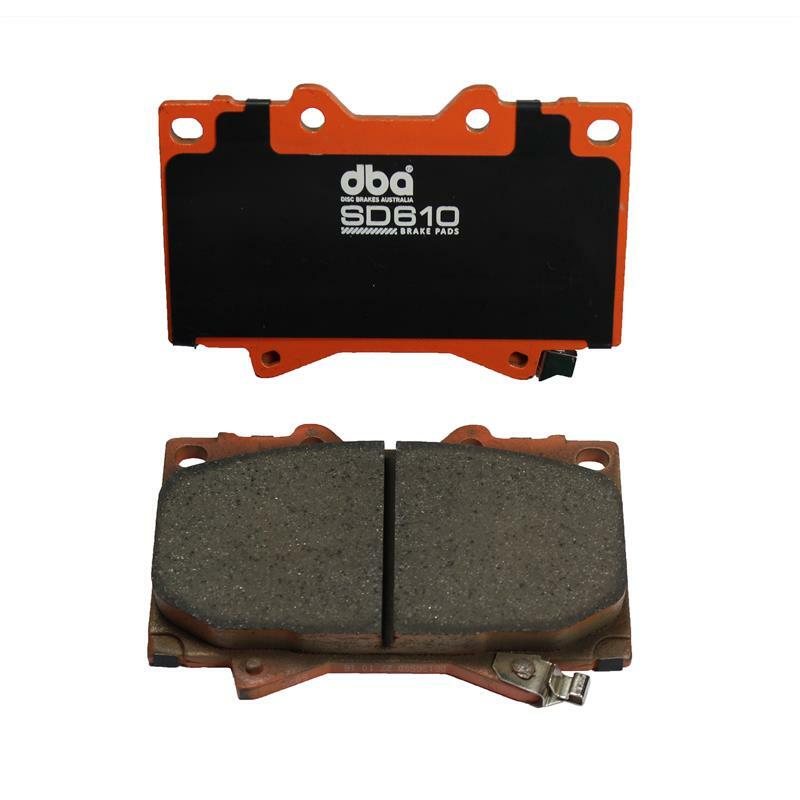 DBA’s SD610 brake pad can operate at temperatures in excess of 610°C (1100°F), whilst maintaining excellent friction levels and great pedal feel. The SD610 uses Copper Free Ceramic technology, which provides low-dust and low noise operation and reduced environmental impact on our waterways and marine life.